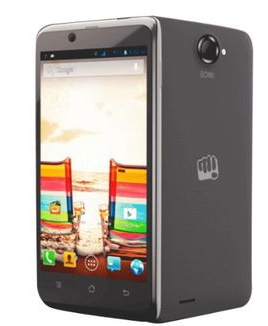 Micromax unveiled their latest addition to the Canvas series, the Micromax Canvas Ego A113 (Quick Review). This comes after the recent launch of the Canvas Doodle 2, which has gotten very popular in a short span of time. The device finds itself in the list of budget quad core devices, and comes with a very pocket friendly size of 4.7 inches. Specifications wise, the Canvas Ego can be thought of as the smaller and cheaper cousin of the Canvas HD which was released a few months back. The Canvas HD is a device which has achieved cult status, and is among the most popular budget devices in the country. It was among the first quad core devices from domestic manufacturers. Coming back to the Canvas Ego, the device comes with a 4.7 inch touchscreen which features a qHD resolution of 960*540 pixels. This means, videos and gaming on the Canvas Ego would be fairly enjoyable with the qHD resolution and the large enough 4.7 inch screen. It will also be fairly mobile thanks to the size. On the processing front, the device packs a quad core 1.2 GHz processor. Micromax give MediaTek a miss this time and go with Qualcomm instead. It is the Snapdragon 200 chipset, which packs 4 MSM8225Q cores. This processor will be coupled by 1GB of RAM which will ensure smooth multitasking as well as gaming. Also, the device is expected to be fairly lag free due to the 1GB RAM. As is the case with other Canvas phones, this one too will feature dual SIM support. You will be able to use one slot with 3G network SIMs while the other, with 2G GSM. As you might have expected, the phone comes with 4GB of ROM which will be expandable by up to 32GB via microSD cards. ROM of 8GB or 16GB would’ve been much more impressive, but we can’t complain at this price. The phone will come preinstalled with Android v4.1.2 which is a bit of a disappointment, we hope Micromax releases an update sooner than later. This is expected since most other devices are already on Android v4.2. The imaging department on this device will be handled by an 8MP rear shooter which will be assisted by LED flash and regulars like autofocus, geo-tagging, etc. The device will come with a 2MP front facing camera to enable you to video chat over 3G and WiFi. The Micromax Canvas Ego will come with a 2000 mAh battery, which is about the average for today. The device would be expected to return a full day of backup, while a slight difference might be observed. The device is priced at 12,499 INR and can be pre-ordered at Infibeam. speed is awesome, temple run never lags, u can feel the speed as it is quad core n 1gb ram, no lags. battery: battery is 2000mah which is huge, still due to screen size n apps i use, it drains pretty quickly. (whtsap, fb, talk, play store, aquamail, avg antivirus, some games) i have disabled a lot of apps preinstalled n now battery lasts longer so i suggest u do that (for any android phone) which saves a lot of battery drain. Flip cover: it is not available as of yet in the market but hopefully it does. and m glad i did. Screen: 1 thing that separates this from canvas 2+ is screen size which is 4.7″ which is better to hold in 1 hand. Sound: sound it not good, it has very low sound from the speaker at the back, so if u thinking of playing songs on speaker forget about it. even listening songs with headset on in a crowded bus will make it difficult to hear anything. if u can add some more money u can get Canvas HD (Rs.14000) which is betr than this 1.
i went with the intention of buying canvas 2 plus but ended up buyin A113 ego. i searched 30 stores, no1 had 2 plus, so i bought this 1, so if u can get 2 plus go for it. its cheaper having identical features. i had a terrible experience with samsung last time so i went for micromax.